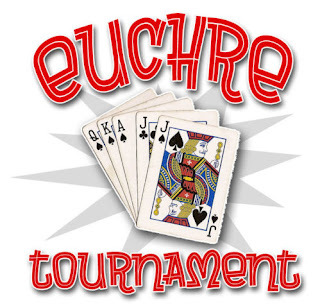 Recently we attended a new Euchre Tournament at a nearby restaurant and one table was short a player, so that was a great time to play 3-handed Euchre!! 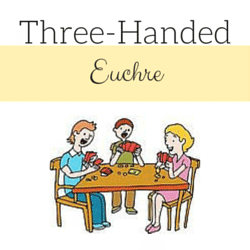 There are different versions of three handed Euchre and this was a new version for me, so I thought I would share it with you. 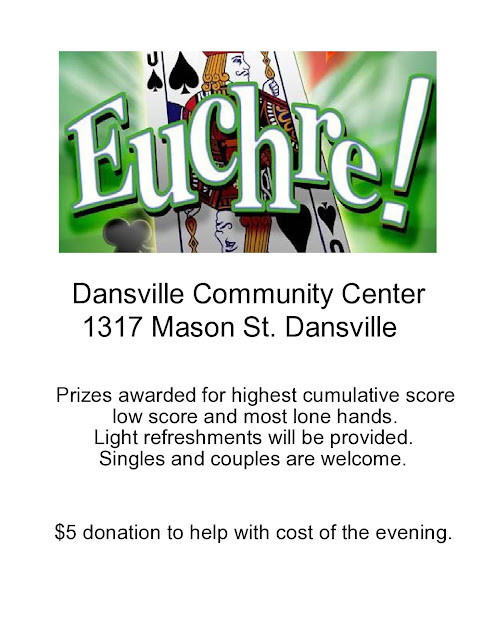 In three handed Euchre there are no permanent partnerships. Players win or lose on their own. 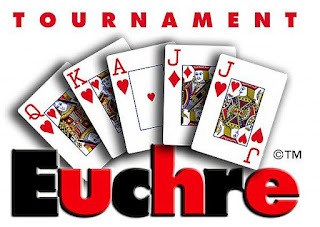 This version of Three Handed Euchre uses the standard 24 card Euchre deck which consists of 9's through Ace's of each suit. 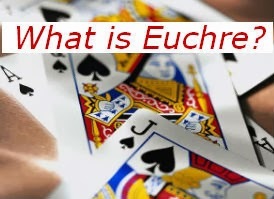 To begin this game of Three Handed Euchre, the dealer gives the three players five cards each. 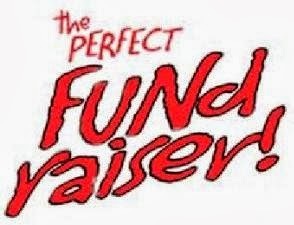 They also deal an extra two cards on the table. The remaining seven cards in the deck become the kitty and are laid face down in the center of the table with the top card flipped over. The player to the dealer’s left declares whether or not the revealed card is trump, or may alternately pass. If trump is declared on the first round of bidding, the dealer picks up the top card that was flipped over. 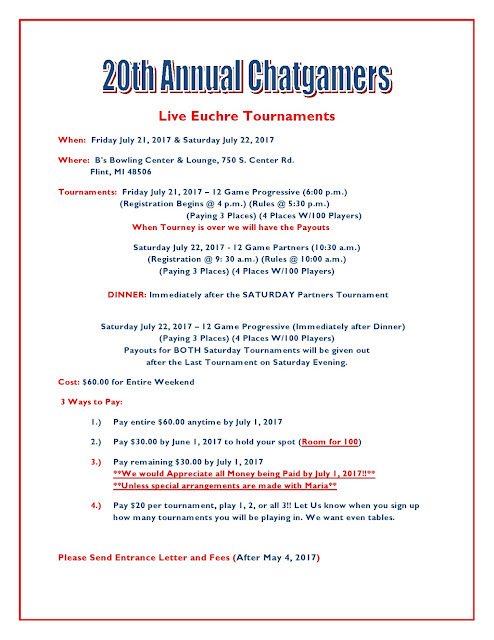 If all players pass in the first round of bidding, the face-up card is turned face down and a second bidding round occurs. In the second bidding round, the first player who names a suit has chosen trump. 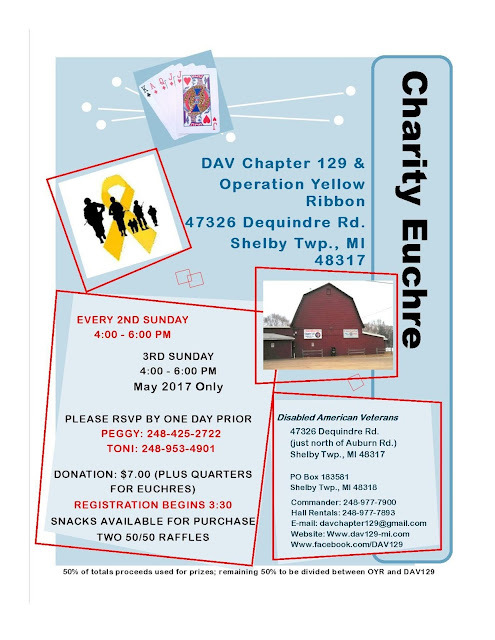 If no player bids, all the cards are shuffled together and the next player deals a new hand or if you are playing "stick the dealer", the dealer must name trump. Whichever of the three players declares trump, becomes the “maker” and will be playing against the other two players for the remainder of the hand. When a player establishes trump, either during the first or second round of bidding, they must incorporate the two extra cards into their own hand. They then choose the best five cards from the seven cards in their hand and place the remaining cards face down on the kitty pile. 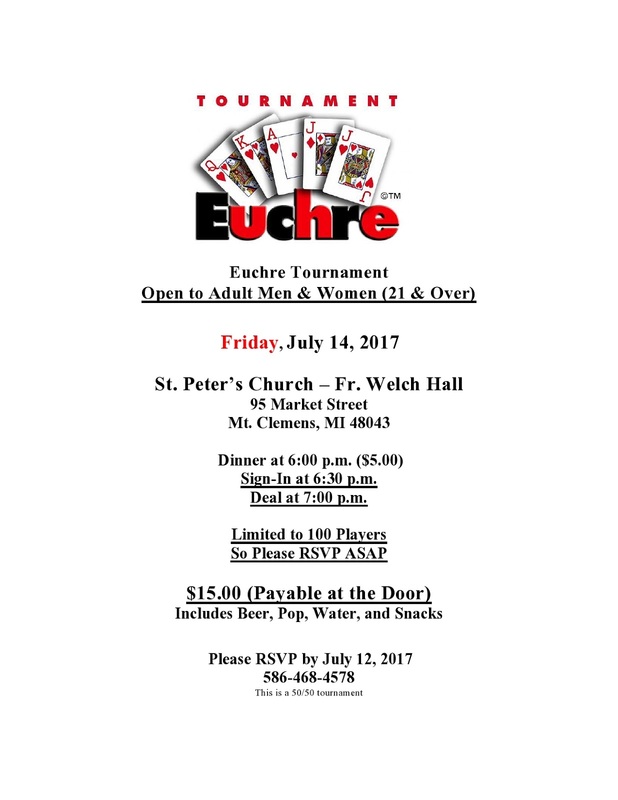 This game of Three Handed Euchre then follows the traditional format. For scoring, if a maker wins three or four tricks, they are awarded a single point. If they take all five tricks, they get two points. 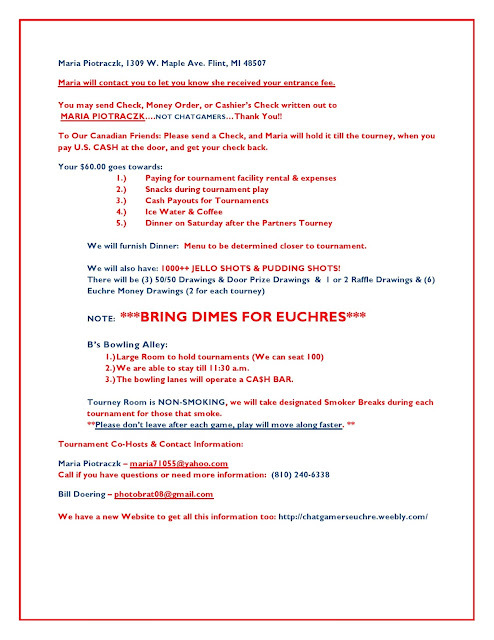 If the maker fails to take three tricks, he is "euchred" and the defenders score 2 points each. The "maker" still has the option of calling "alone" for four points. 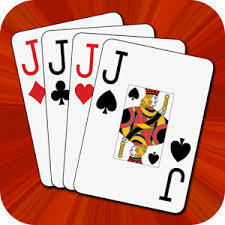 When going alone, they would pick up the face-card but not the additional two extra cards. 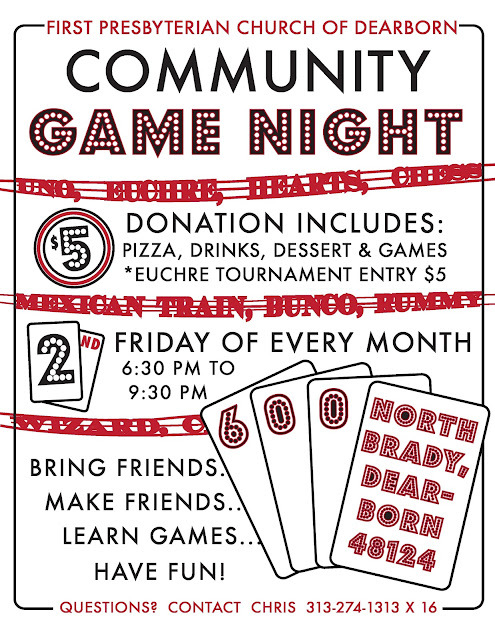 When playing with a group where there are multiple 4-player tables and only one 3-player table, it is important to keep things fair with scoring points. 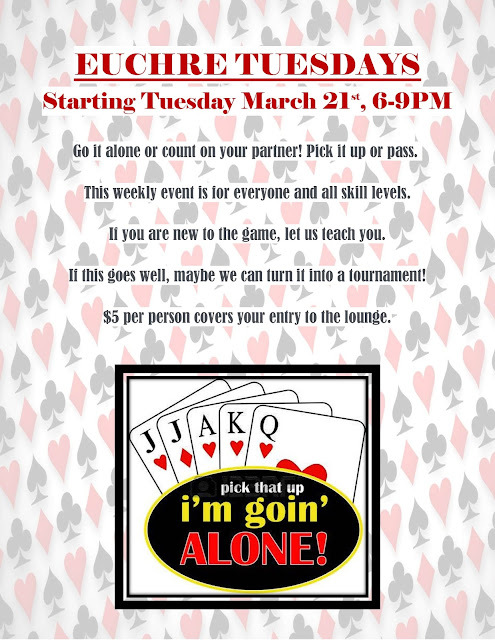 If dealing around twice, which is eight hands for the 4-player table, the 3-player table should also deal eight hands. 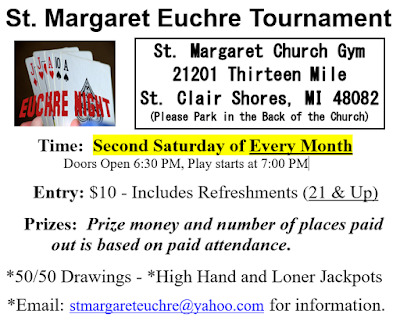 Having a table of Three Handed Euchre is another option to having three sit outs for a Euchre tournament. 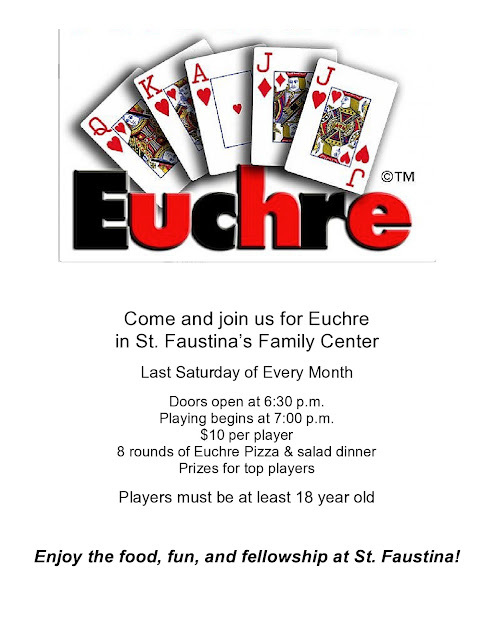 Call ahead to reserve your spot for dinner or Euchre.